Architect/Designer David Rockwell and I at naming celebration for Citymeals new meal distribution center. 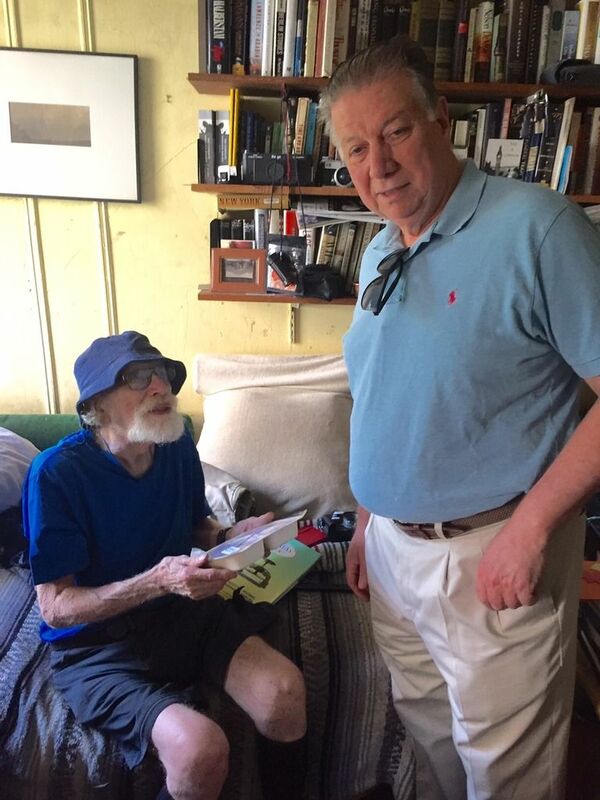 As co-founder of Citymeals on Wheels with James Beard, and board chairman since we first organized. I should have been bolder. I’ve pressed and pushed and watched us grow from delivering 6,000 holiday lunches in 1981 to funding two million or more meals a year for our city’s homebound elderly. How could I live my life of delicious excess while elderly neighbors went without? 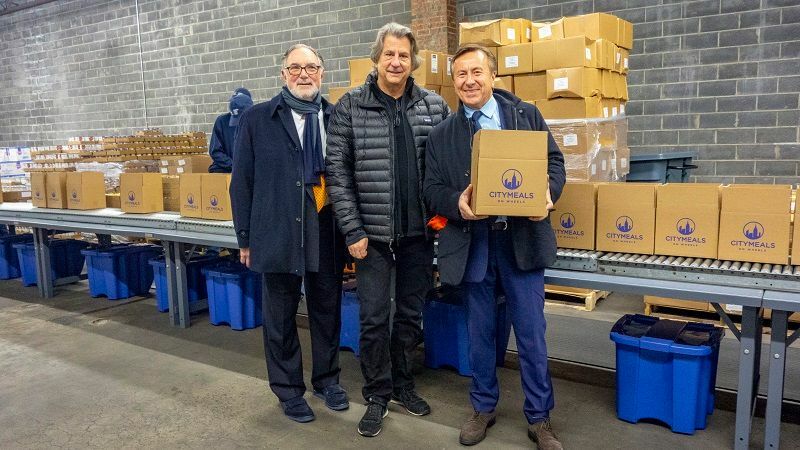 David Rockwell stands between Citymeals co-presidents Dainel Boulud and Bob Grimes at our assembly line. 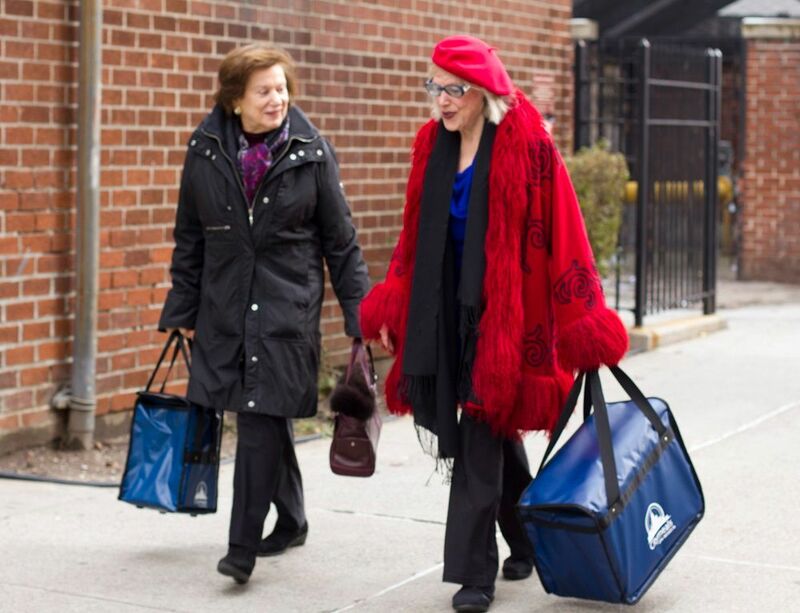 Restaurateur Maria Loi delivers a meal from her kitchen to one of our homebound recipients. When the lease on our warehouse in Brooklyn was about to expire, our real estate savvy members said it would be smart to buy. I agreed we should move to the Bronx. But to buy a 30,000 square foot building, to take on a mortgage, to carry bonds -- all that sounded too grownup to me. 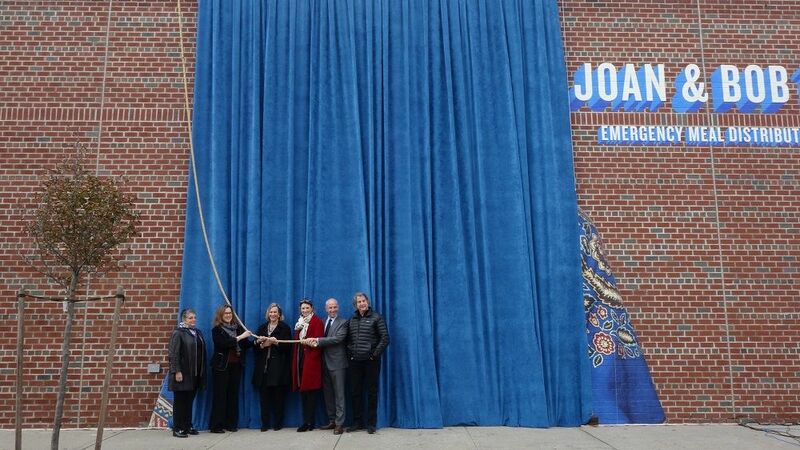 Laurie, Lizzie and Jonathan Tisch join David Rockwell and Citymeals Executive Beth Shapiro for the reveal. 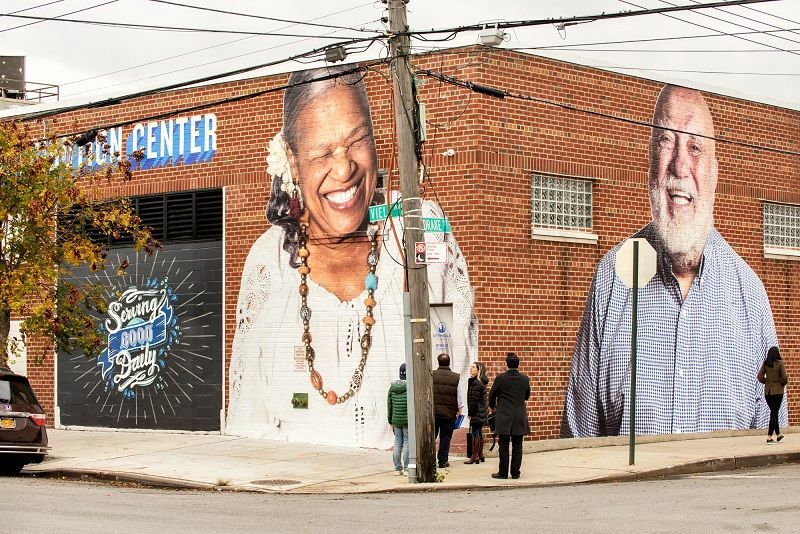 An image of 88-year-old meal recipient Audrey is seen on the wall of our new Meal Distribution Center. I voted to make the leap but I wasn’t among the board members running off to the Bronx near the Hunts Point Market to check out the neighborhood or assess the lack of plumbing. There was a committee. They negotiated a deal and signed up a bank. Members pledged financial backing. 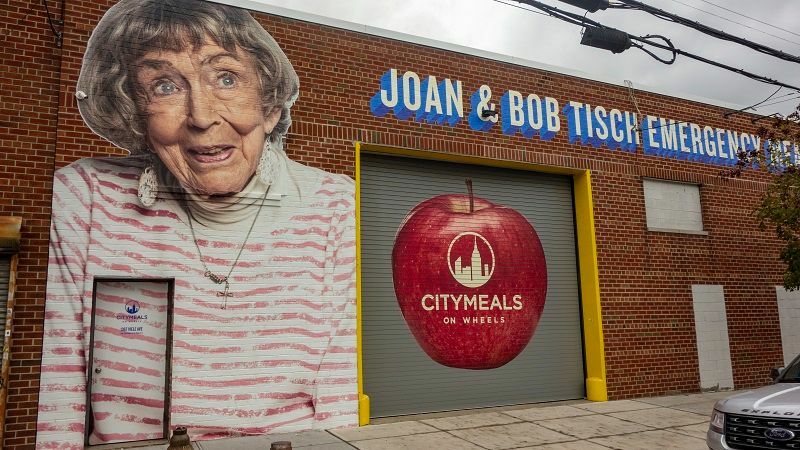 Joan Tisch, to celebrate her late husband Bob’s early Citymeals leadership, made the cornerstone gift in our capital campaign. As soon as we had thrown out the garbage and cleaned up the mold, painted and set up an assembly line, Citymeals started stocking the center and filling boxes for delivery to our shut-ins. Teams of volunteers from Macy’s pack boxes for the homebound in our new warehouse. Relays of volunteers from compassionate companies and groups that support us rotated into the new center to pack boxes for holiday and emergency deliveries. When one of our Bronx partners bowed out, staff and volunteers on foot and on wheels took over local deliveries. Marie and Barry, both 88, were photographed by the Rockwell team’s photographer. Belatedly, it seemed time to celebrate our real estate. Our long time board member, architect David Rockwell, came up with a design concept and recruited his suppliers -- Eric Vitale Photography, ARC and ShowMotion -- to deliver it without charge. Jonathan and Lizzie Tisch mark the naming of the new center for his generous parents, Joan and Bob Tisch. Last Monday at 10 a.m, board members past and present, press and friends gathered for an official naming ceremony. 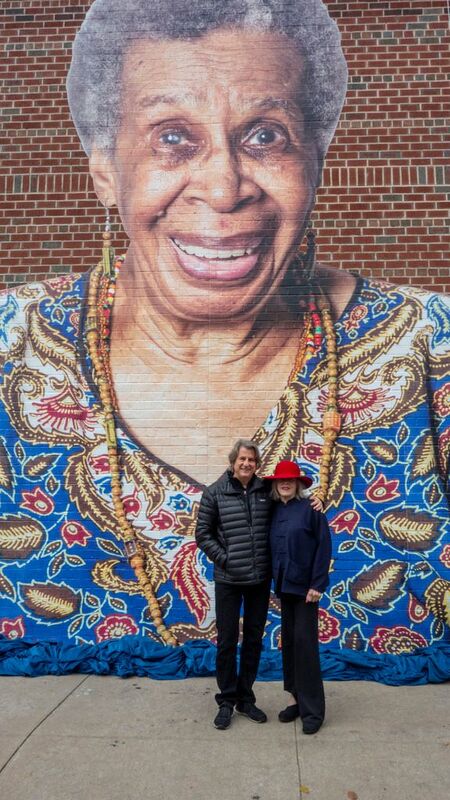 Inside and out the red brick warehouse was splashed with images of our meal recipients photographed by a team from the Rockwell Group. Commissioner of the NYC Department for the Aging, Donna Corrado, talked about how the city has come to depend on Citymeals as its partner in feeding the homebound, since our executive director of thirty years, Marcia Stein, first intuited how to harness our enthusiasm. Board member Nick Valenti takes a morning off from Patina Group business to delivers lunches for Citymeals. 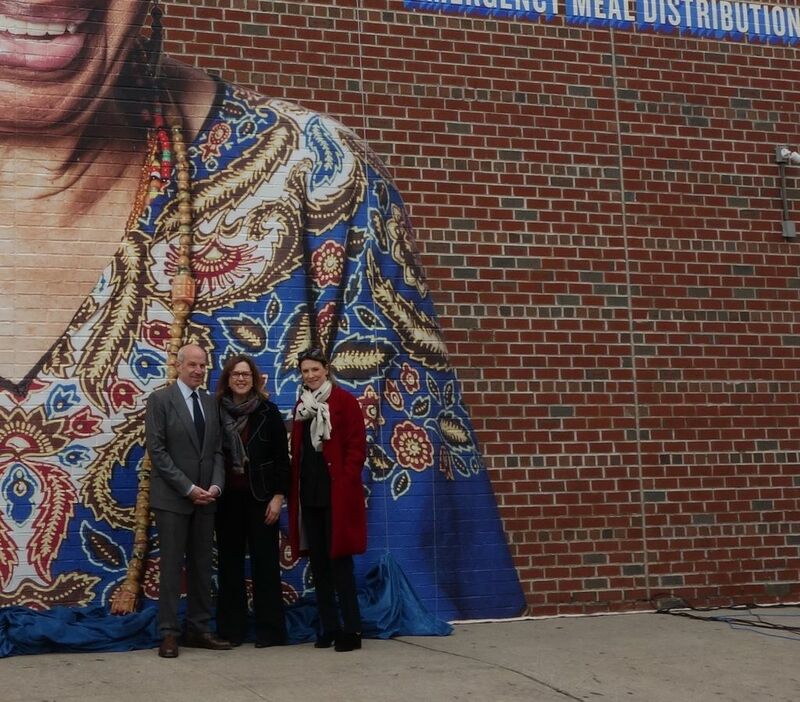 Loews’ president Jonathan Tisch spoke for his family, as he, his wife, Citymeals board member Lizzie, and his sister, Laurie Tisch, tugged at a cord and dropped a curtain on a dramatic image of 92-year-old Mary next to the lettering: JOAN AND BOB TISCH Emergency Meal Center. Our co-presidents Daniel Boulud and Robert Grimes, and Executive Director Beth Shapiro posed beside the Tisches. I am sure I was not the only one moved and thrilled by the drama of our new home. For thirty years Executive Director Marcia Stein and I worked together to keep Citymeals growing. But I might have been alone in recalling the morning in 1981 when I called the Department for the Aging to report our fundraising. I got Commissioner Janet Sainer on the phone and said, “My friends and I have raised $36,000 to feed the homebound on weekends. You must promise it will go only to deliver meals, and you won’t spend a dime for a stamp or a phone call.” I can’t imagine what she thought at these earnest instructions. 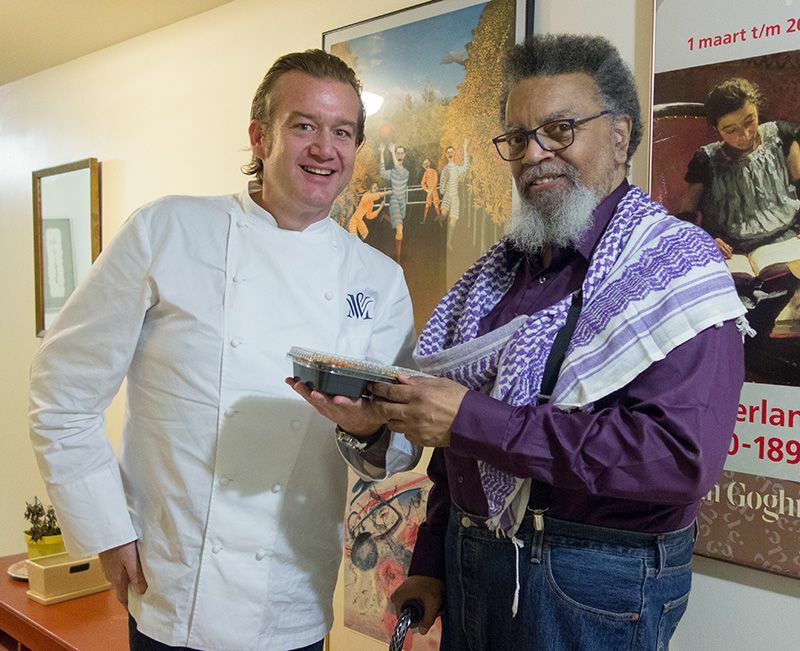 Citymeals Board Member Chef Michael White of Marea and Morini delivers meals from his kitchens. “No problem,” she said. “We have our own administrative funds,” she assured me. And that’s how this partnership in feeding hungry neighbors began. Click here to read the story. Go to Citymeals.org to find out how you can help. Salumeria Rosi’s patio on Amsterdam is full this fall evening, just steps from my office. 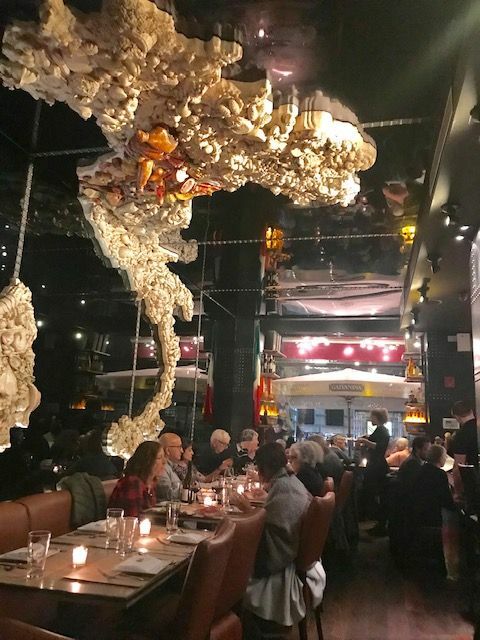 At one time founding chef Cesare Casella defined speed dining at cramped little Salumeria Rosi by announcing that dinner would be served (and eaten or else) in 90 minutes. Occasionally regulars would be asked to chat and chew and vacate in an hour. My guy Steven and I were regulars in the days when Cesare Casella ran Salumeria Rosi. That was eight years ago. My guy Steven and I were habitués then. I discovered Cesare’s refreshing spritzer for evenings when I didn’t need a more powerful Negroni. Once we were given a table at eight if we promised to clear out by 9:30. 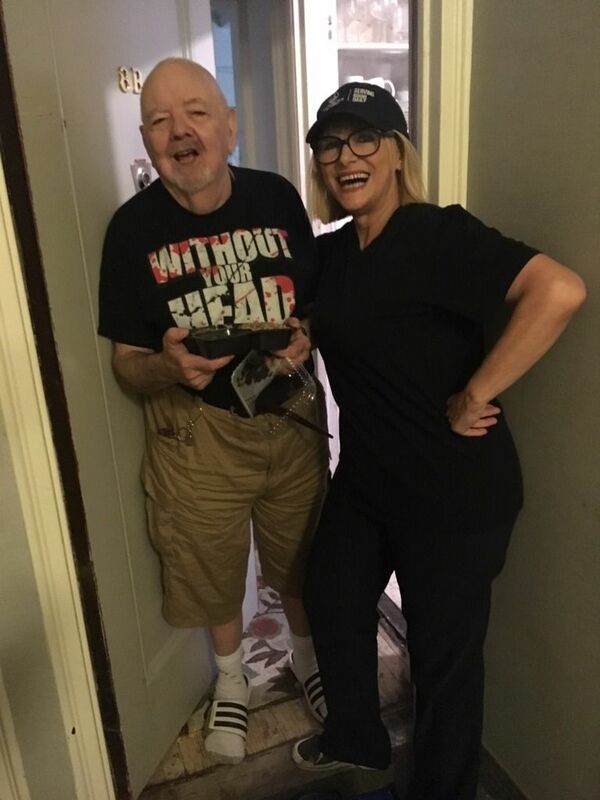 Alas, the 6:30 tenants refused to leave and we waited 20 minutes, with the house offering wine to apologize. 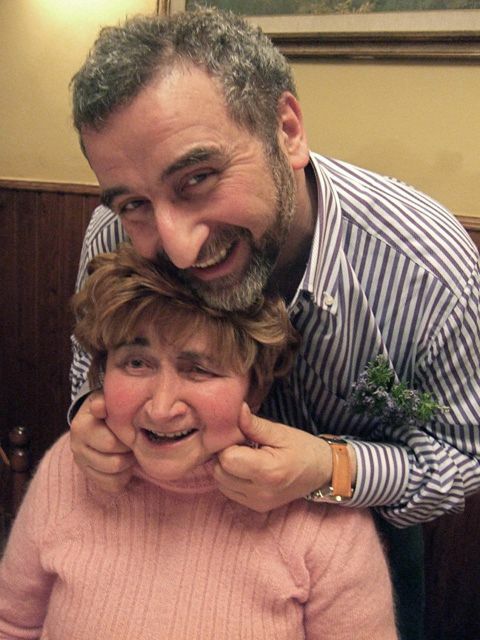 We followed Cesare to Tuscany to document reunions with restaurateurs and lunch with Mom. Steven and I followed Casella to Tuscany in 2009 to documents how the consummate Tuscan eats for Food Arts magazine. 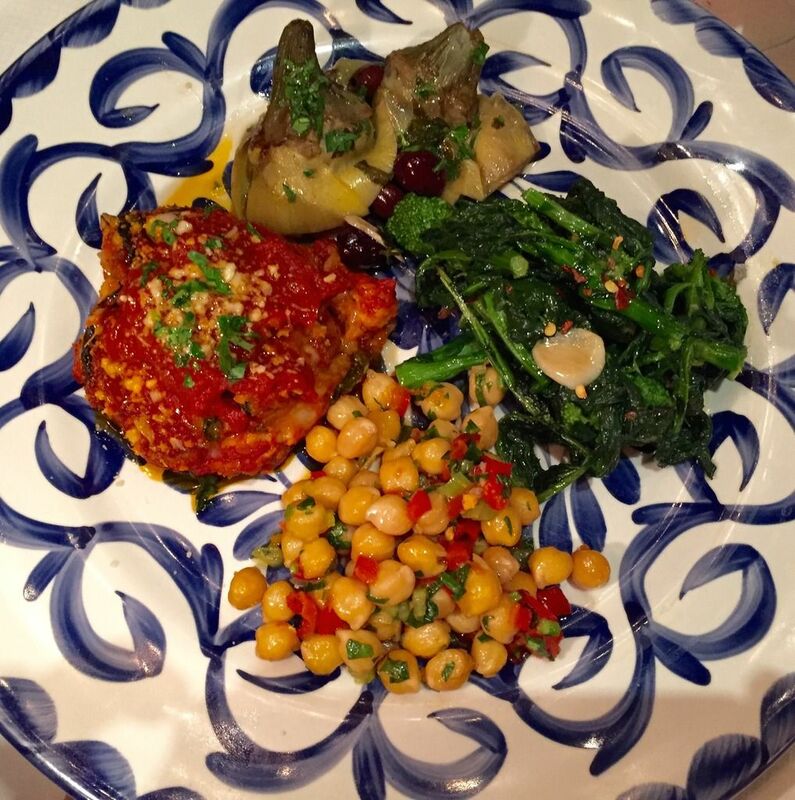 Click here to read Tuscany Without Breaks. When Steven was ill and not getting out anymore, I would bring him his favorite Salumeria pasta: the rigatoni all’Amatriciana with cubes of cured meats and pecorino. That’s a three dimensional map of Italy on Salumeria Rosi’s ceiling. Photo by Dana Stoddard. Since Casella left Salumeria Rosi, and Steven passed on, I’ve not been a regular fixture anymore. But it’s just around the corner from my office and I count on a table for business lunches or if someone wants to interview me. 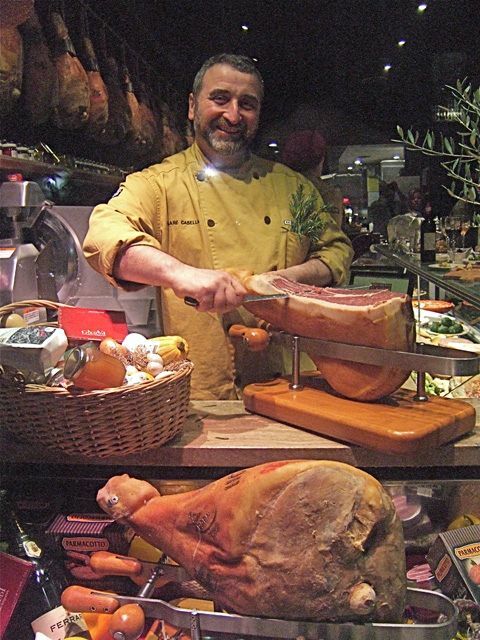 I encourage first-timers to order the “selezione del salumiere,” the grande at $29. I might have the porchetta sandwich with hot Calabrase red pepper sauce or roasted brussels sprouts with pancetta and garlic if I’m trying to diet. Dana shops at Salumeria Rosi for salami and prosciutto. I pick up pasta-to-go. I used to always share the luscious seven-bean salad (Casella was the Tuscan king of beans after all) and, often, his signature soft scrambled eggs with pancetta and market greens (a dish his mother did in the Tuscan hills). 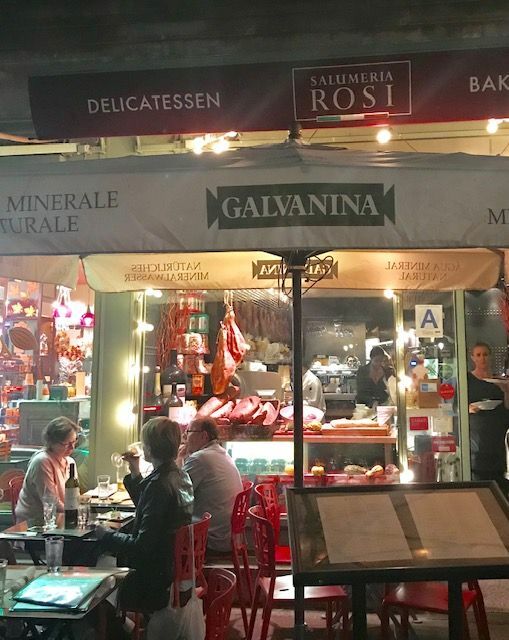 In the early days, it was cheaper to eat at Salumeria than at home. 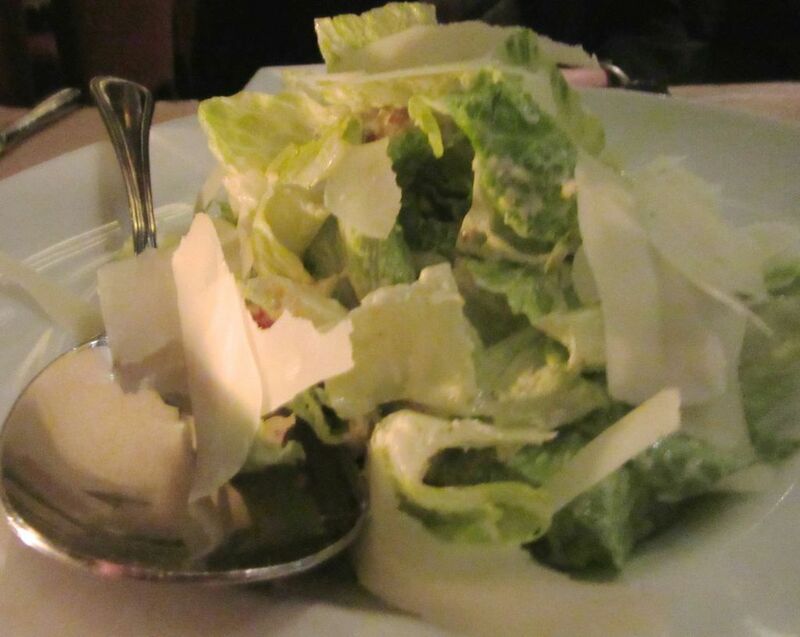 Dana and I are sharing a Caesar salad -- at least a 1000 calories, I think. Last Thursday I could only score counter seats for my niece Dana and myself. But she came early and they let us sit at one end of the big back table with a trio of strangers at the other end. The hostess seemed to know me and so did Aaron, our waiter. The place seemed very different without Cesare. More crowded with seating at every angle. 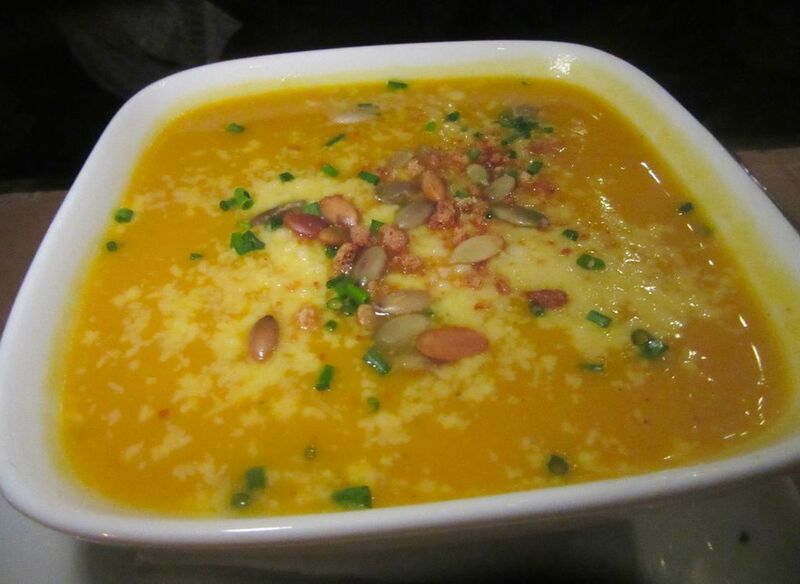 It’s fall now, so, of course, Dana will have a big bowl of the butternut squash soup. “I like it sweet,” she said. “What makes it so sweet?” she asked Aaron. 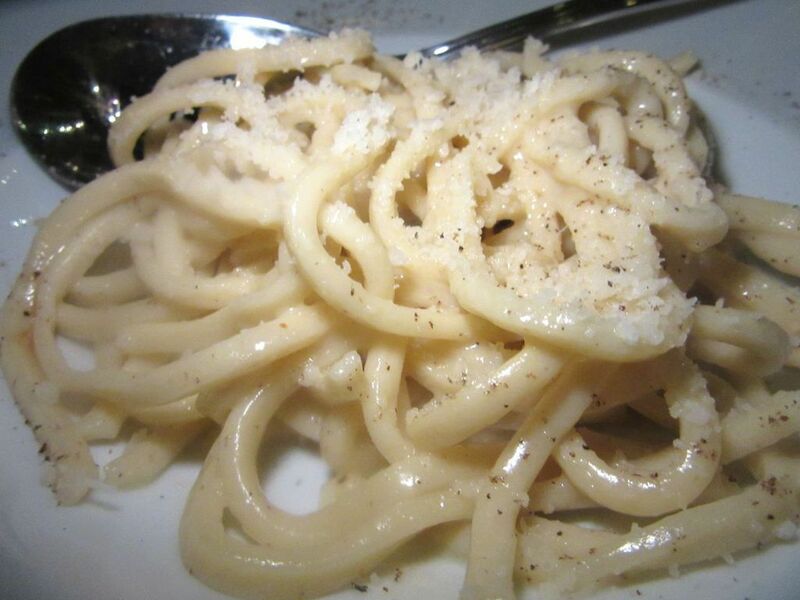 The evening’s special pasta, cacio e pepe, is a marvel of perfect cooking. It could not be more al dente. Yes. Wonderful. I cannot remember any pasta I have had recently that was so boldly al dente. 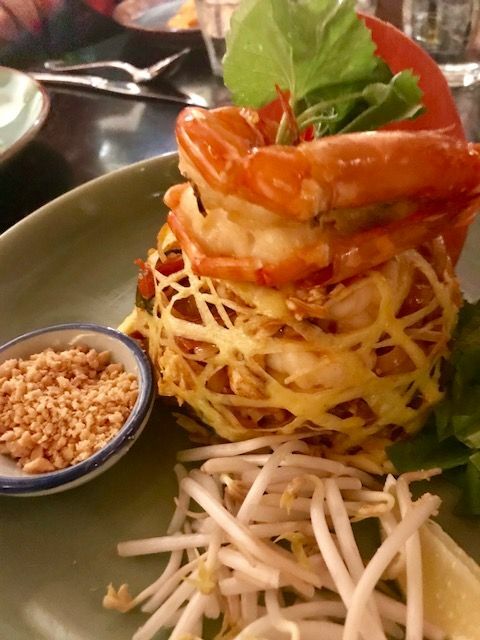 Salty, peppery and full of fight. I’ll be back soon again. 283 Amsterdam Avenue between 73rd and 74th Street. 212 877 4800. 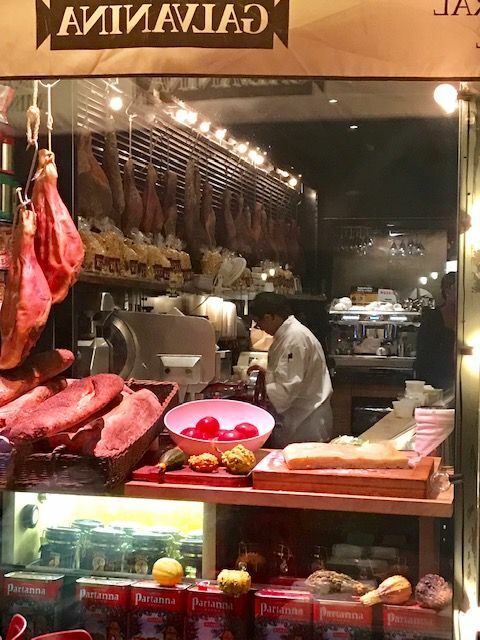 Salumi Counter opens at 11 daily. 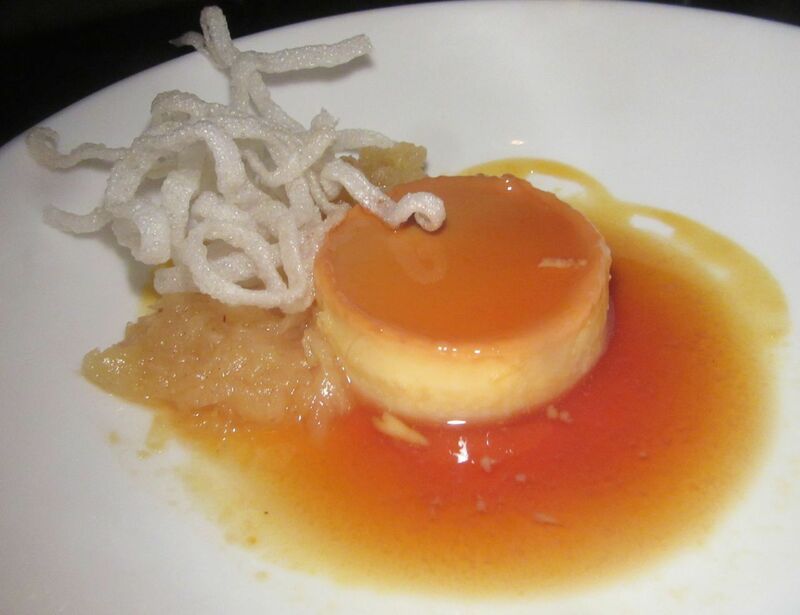 Dining room Monday to Thursday noon to 10 pm. Friday noon to 11 pm. Saturday and Sunday brunch 11 am to 4 pm. 11 am to 11 pm.